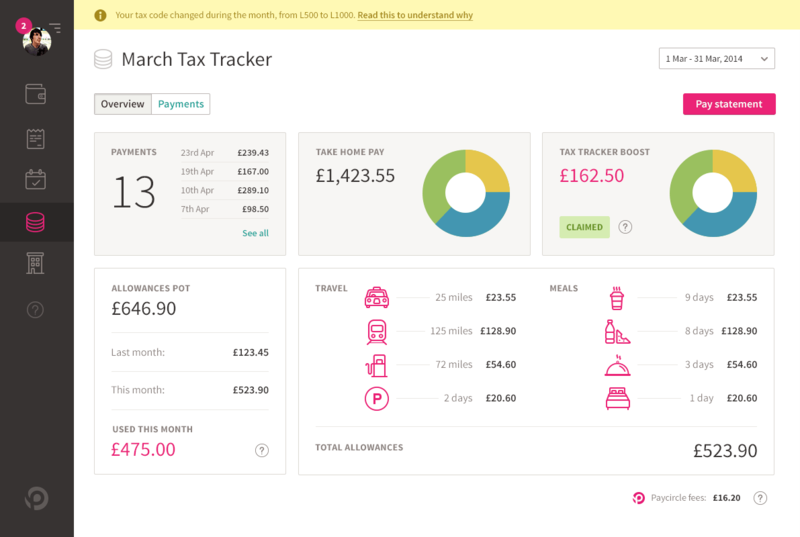 Tax Tracker is a web app designed for freelancers and contractors to keep track of agency work, help them take care of daily tax allowances and save money. 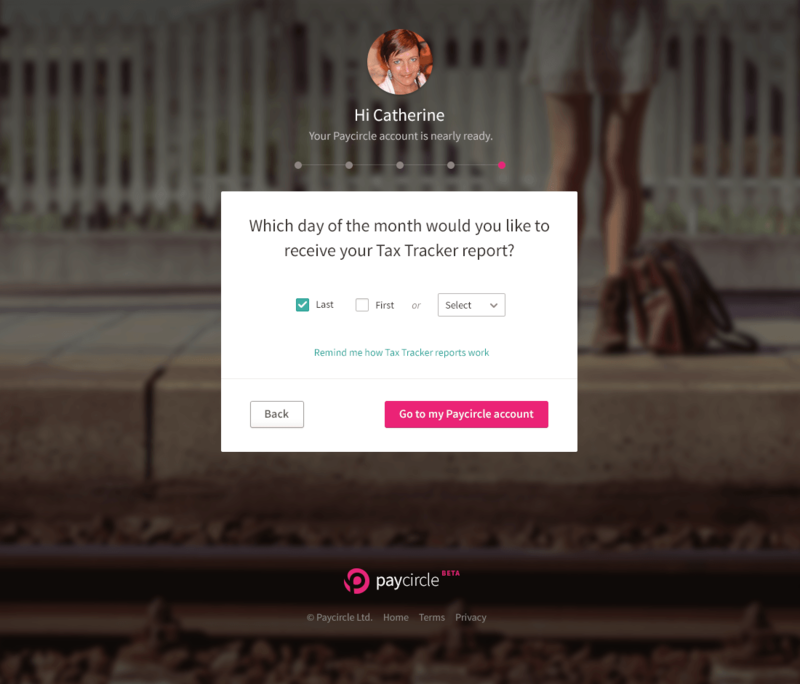 The amazing team behind Tax Tracker are so passionate about pay and how taxation works. 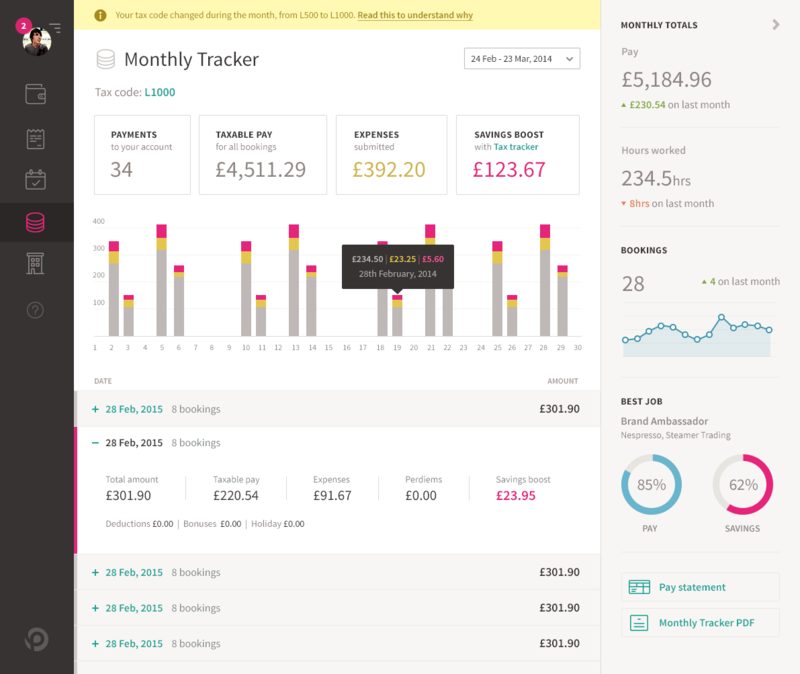 We wanted to help them to make pay and tax easier to understand for everyday workers. 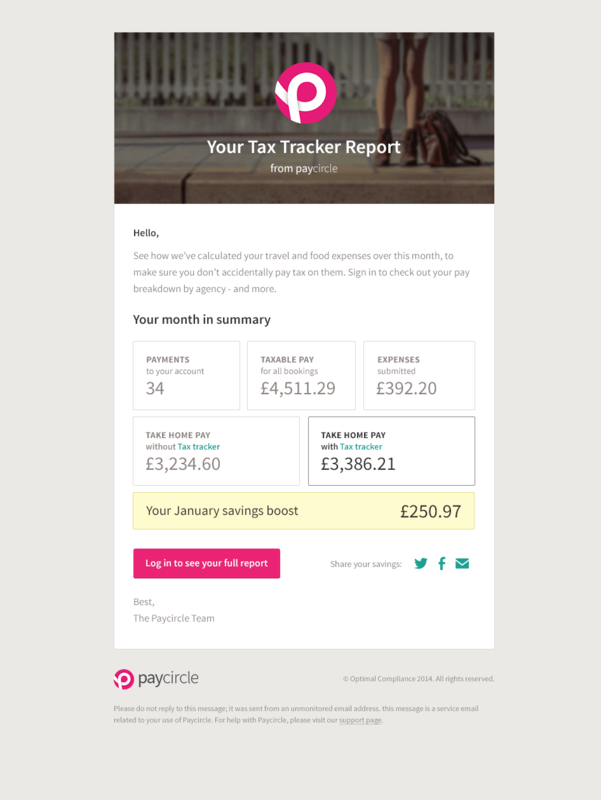 We completely redesigned the Paycircle brand identity and the Tax Tracker website and web app. 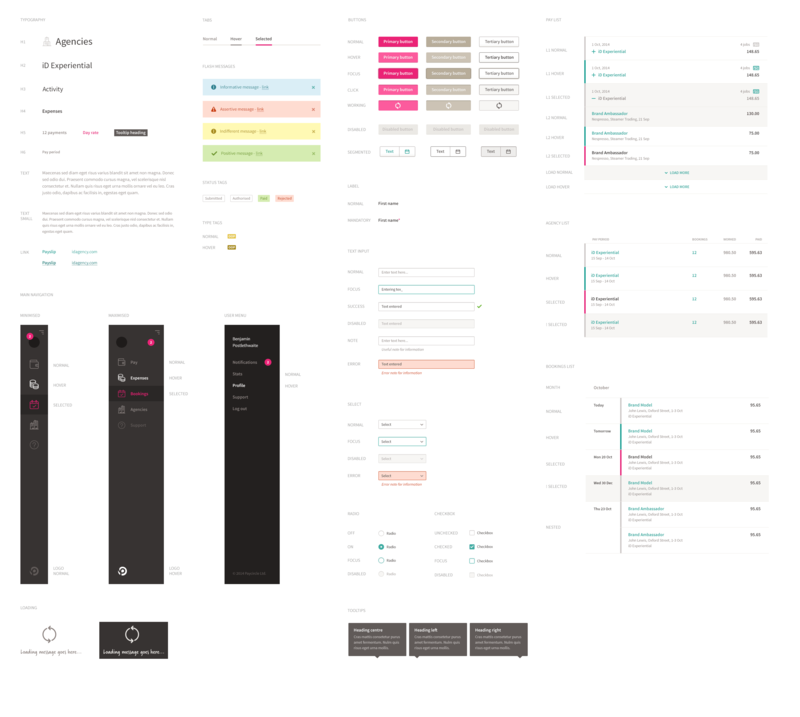 As part of the UX process we used focus groups, created personas and user journeys coupled with intuitive onboarding techniques to help users achieve their goals. We worked closely with an experienced Copywriter to make sure that the brand message was consistent throughout, from headlines to micro-copy. To enable Paycircle to continue to use the work that we created for them we provided an extensive custom set of svg app icons and a comprehensive web app style guide. We established a fantastic working relationship with Paycircle's in-house marketing and dev teams and we were able to deliver and turn around work rapidly. We continue to work with Paycircle on further equally exciting projects. The talent that you brought to the Paycircle project was exactly what we needed, we couldn't have launched without you. Thanks for the creativity, the hand-holding and the immense amount of patience you always showed when we changed our minds and jumped all over the place throughout the project. That Paycircle app is a great success and we are adding to it all the time. It pays to work with the right people. Let's do this.